(Wilmette, IL- September 13, 2018) – (RealEstateRama) — The Boulder Group, a net leased investment brokerage firm, completed the sale of a single tenant net leased Insurance Auto Auctions, Inc. (NYSE: KAR) property located at 4401 37th Street North in Fargo, North Dakota for $5,767,500. The 19.1 acre Insurance Auto Auctions property is strategically located next to Hector International Airport which is the largest airport in Fargo with over 789,000 passengers in 2016. The property is also positioned just off of Interstate 29, which serves as a primary north-south thoroughfare through Fargo. There are over 210,000 people living within 10 miles of the property and earning an average household income of $74,752. Fargo is the most populous city in the state of North Dakota, accounting for nearly 16% of the state population. In 2014, Forbes magazine ranked Fargo as the fourth fastest-growing small city in the United States. 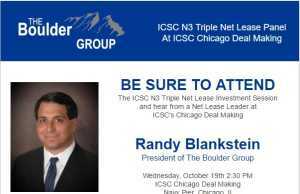 Randy Blankstein and Jimmy Goodman of The Boulder Group represented the seller and the buyer in the transaction. The seller was a Southwest based private developer and the purchaser was an insitutional investor. There are over 17 years remaining on the Insurance Auto Auctions lease which expires on November 30, 2035. The lease features rare annual CPI rental escalations that will be no less than 3%. 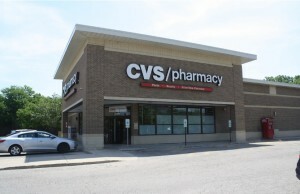 This absolute triple net lease features no landlord responsibilities.